When Pittsburgh Dad debuted on YouTube, creators Chris Preksta and Curt Wootton little suspected their sitcom would receive more than sixteen million views and turn their blue-collar everyman into a nationally known figure. Illustrated with hilarious black-and-white photos, Pittsburgh Dad shares the best of the best, from rants about swimming pool rules to reflections on coaching little league to curmudgeonly movie reviews. With its heavy dose of nostalgia and pitch-perfect sensibility, Pittsburgh Dad will have readers laughing in recognition, especially those who love recent blockbusters like Sh*t My Dad Says and Dad Is Fat. 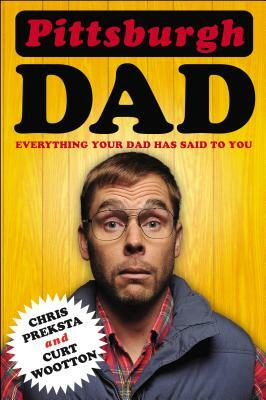 Chris Preksta is the director and cocreator and Curt Wootton is co-creator and star of the Pittsburgh Dad series. They live in Pittsburgh.